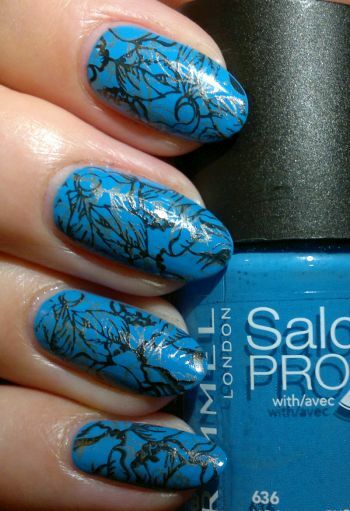 For this mani I painted my nails with Rimmel Salon Pro 636 Hooray Henry! (2 coats). This is a lovely blue shade. 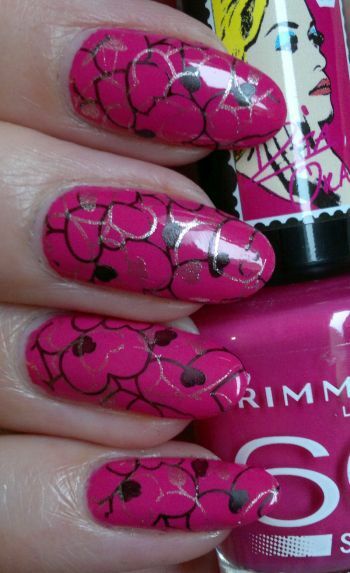 It’s pretty, and it’s a great base for stamping. The stamping plate I used is Pueen‘s 106 plate which is part of Pueen‘s Make Your Day stamping plate collection. This is a gorgeous plate. I’ve used it before, and I have no doubt I’ll be using it again soon! 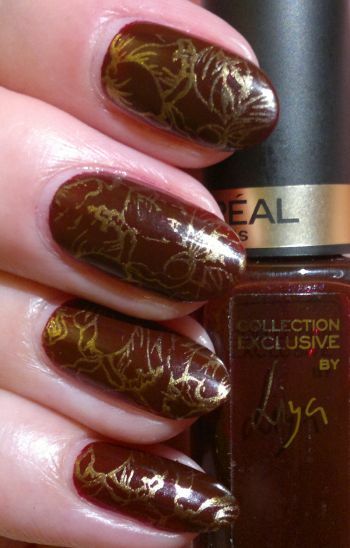 I stamped with 2 polishes – Revlon Colorstay 270 Stiletto and a random gold metallic polish (but I don’t remember which one). 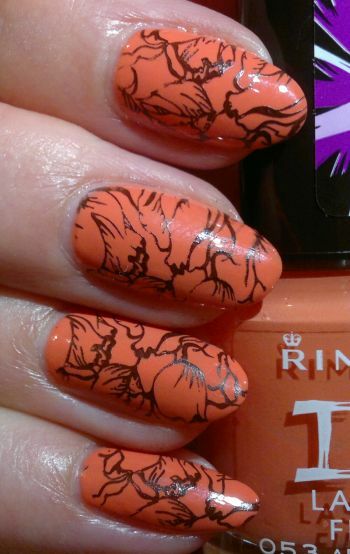 For this mani I painted my nails with Rimmel I ♥ Lasting Finish 053 Apricot Punch (2 coats). I’m not a big fan of this kind of nail colour, but I already own the polish, so why not use it? For the images I used Pueen‘s 106 plate (which is part of Pueen‘s Make Your Day stamping plate collection). The black polish I stamped with is Revlon Colorstay 270 Stiletto. 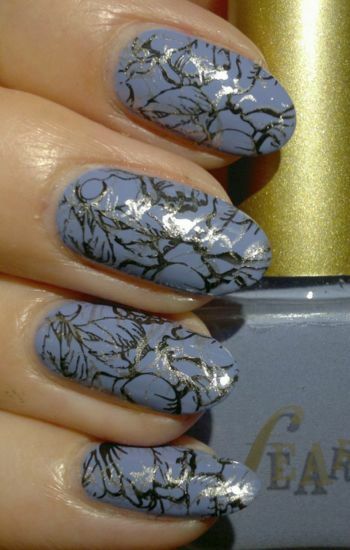 I really liked this mani – in part because I didn’t expect it to look nice (did I mention I don’t love the base colour…). What colour nail polish are you wearing at the moment? Feel free to get in touch. And thanks for stopping by!